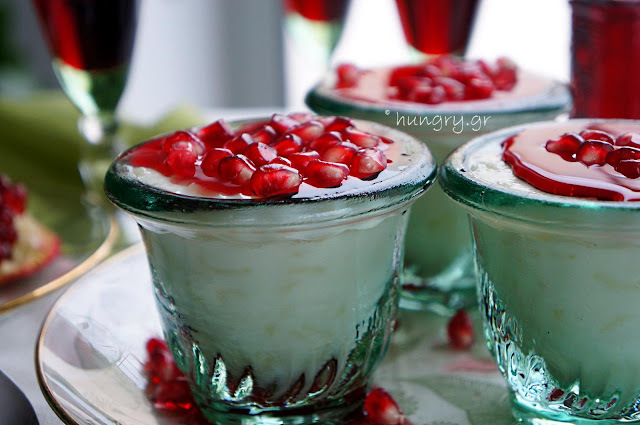 A rice pudding, a simple rice pudding of Mom but with the addition of vanilla pudding mix, with very creamy texture melts on the palate and gives us tons of delicious memories and homely warmth of swing. 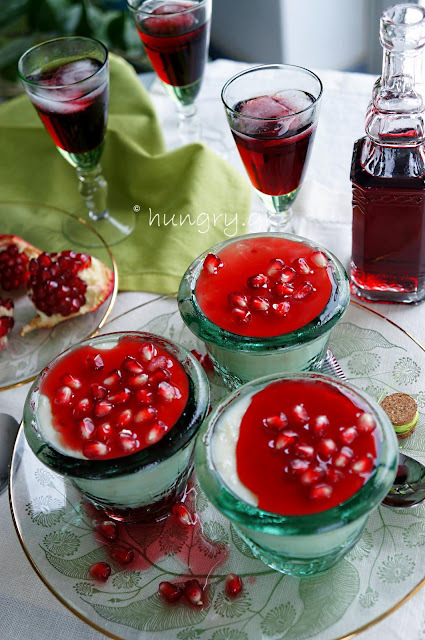 The capstone to this touching moment for our tastes comes from the pomegranate syrup and the arils, truly rubies, give us another taste dimension! 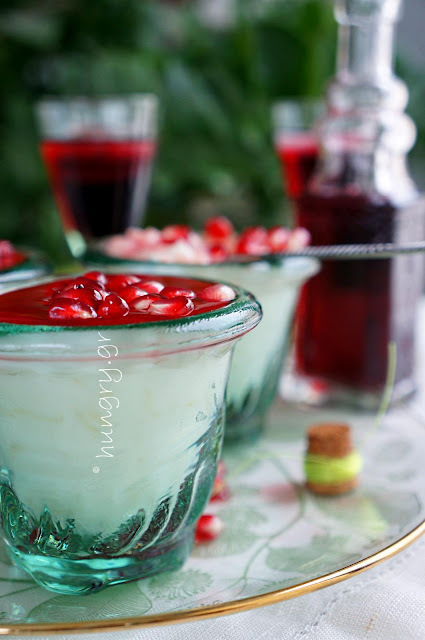 PS At the end of the post you will find how to make this wonderful, sweet pomegranate syrup, alcohol-free and you can use it sprinkling our sweets, ice cream, cakes, pancakes, cheesecake, etc. 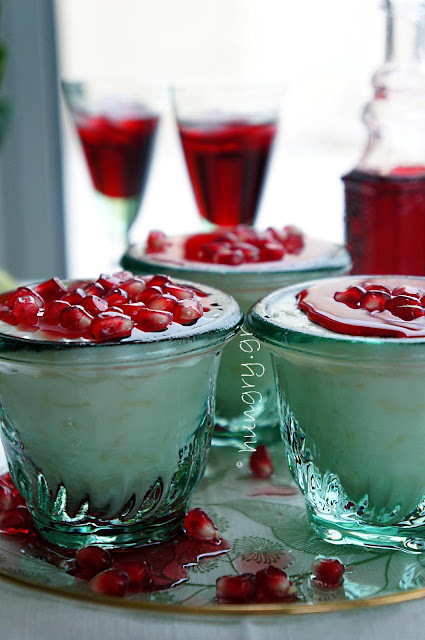 but also green salads or to give a red color to cocktails or homemade grenadine! 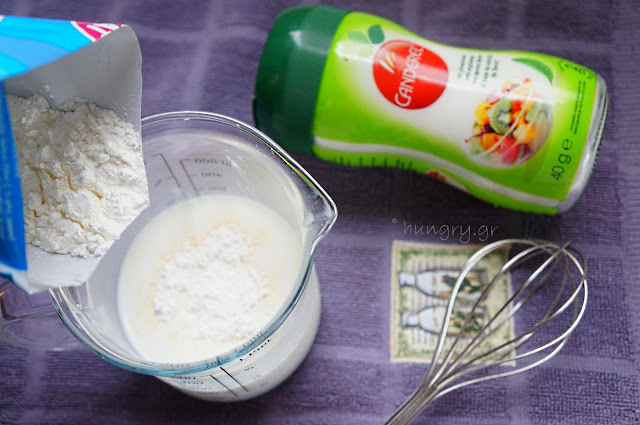 Take 200 ml (6.8 fl oz) of the milk, put in a bowl and dissolve into the vanilla pudding mix, stirring with the wire. 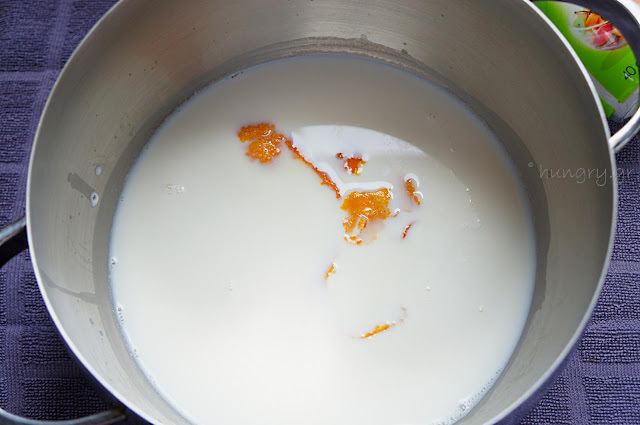 In a saucepan add the remaining milk with the peel of an orange and sugar or the equivalent quantity in stevia, boil stirring occasionally. 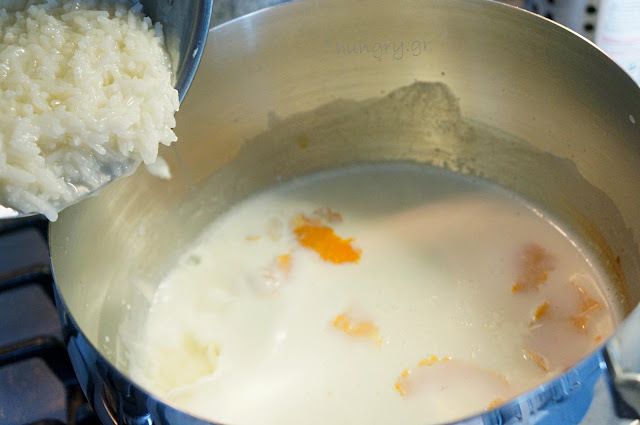 In a saucepan, over low heat, boil the rice in 400g (14.1 oz) water to absorb it. Remove from heat and keep aside. 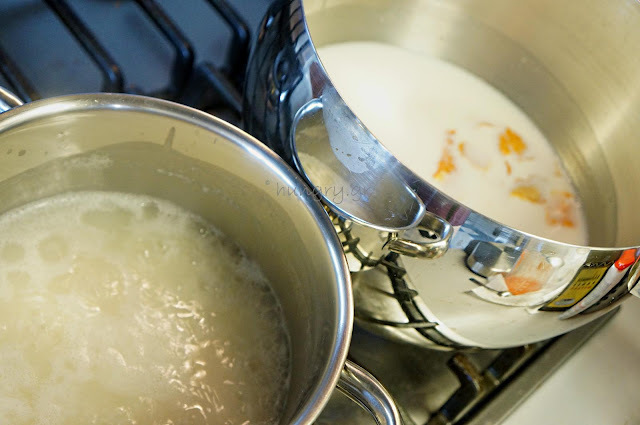 Once the milk boils, add the boiled rice. 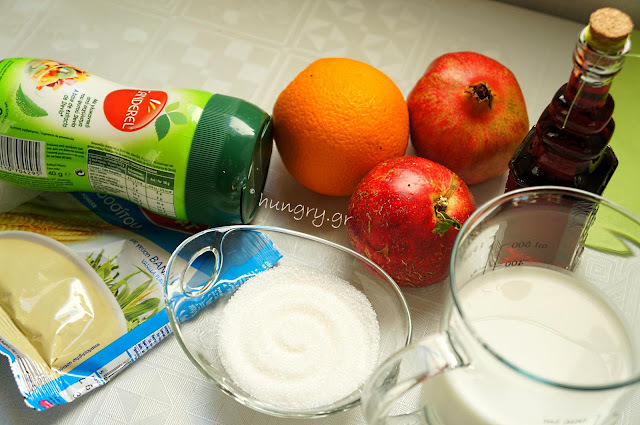 Mix gently. 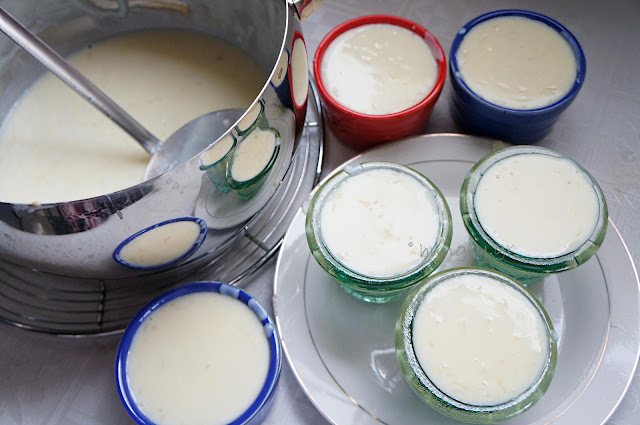 Just get it to re boil, pour the dissolved milk vanilla pudding mix and continue cooking, stirring continuously with a whisk until you get a couple of boils and thickens the cream. Withdraw the rice pudding from the heat, remove the orange peel and serve in bowls. 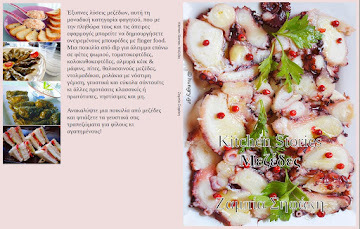 Let cool and serve with a sprinkling of pomegranate syrup and a few pomegranate arils. 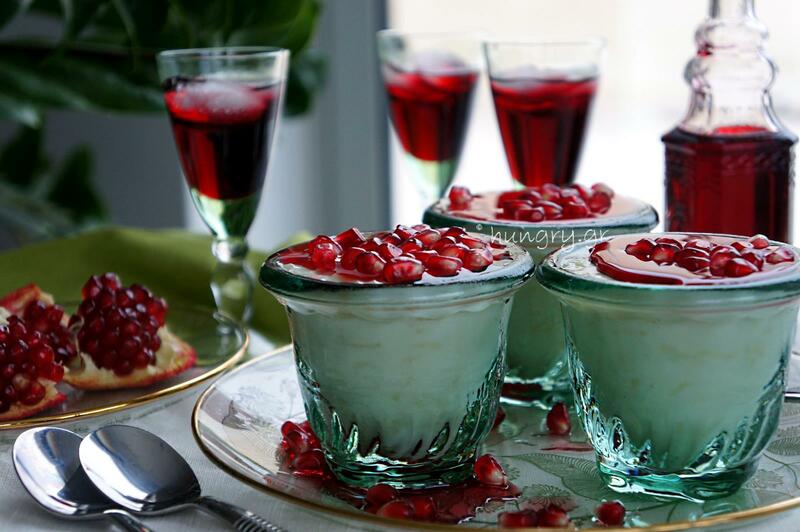 Squeeze pomegranates in lemon squeezer or better in the juicer. 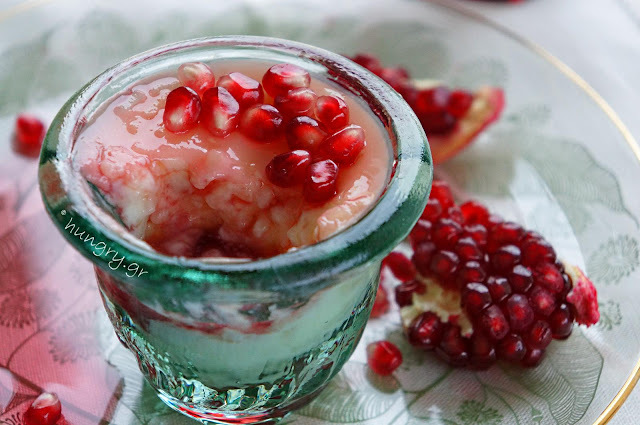 In a saucepan simmer very gently the pomegranate juice, sugar, vanilla pod and lemon juice until reduced by half and even less or until it has the consistency of a syrup, 20′-30′ min. 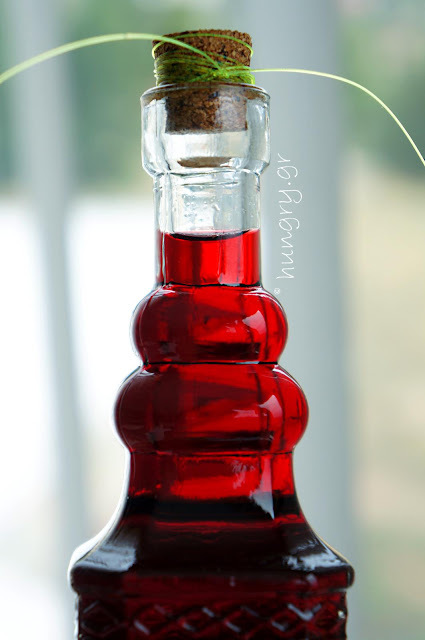 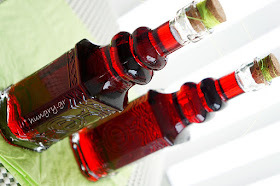 ✔ Double the dose and keep the bottle from the precious and scarlet pomegranate syrup for many uses! 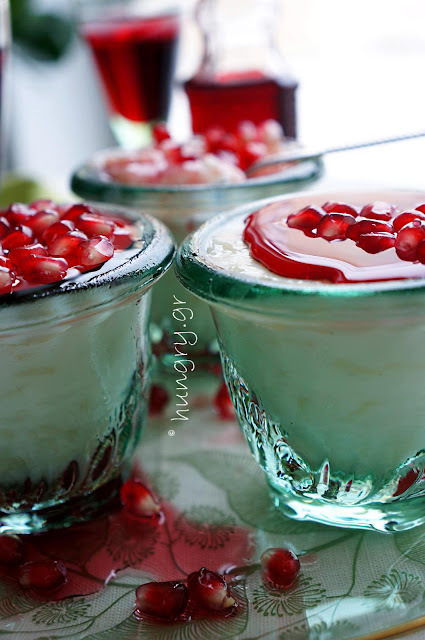 Classic favorite, light dessert, beautifully scented with the essential oil of lime and sprinkled with fresh, crunchy pistachio. 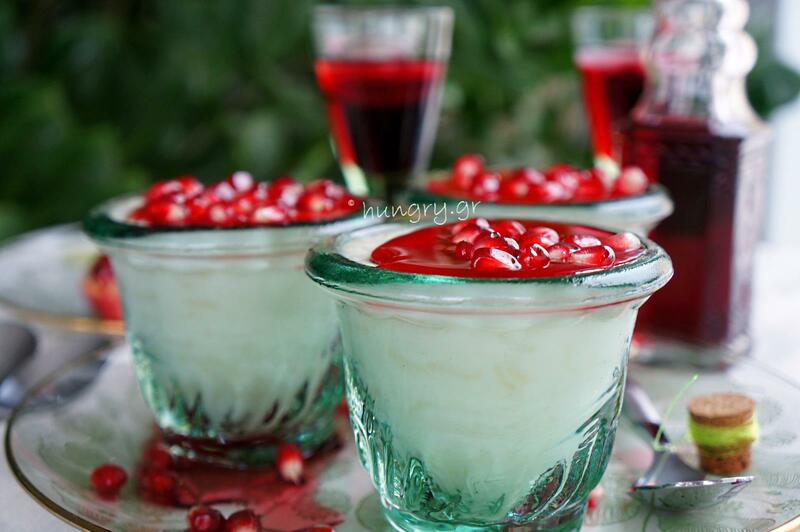 The fruits like walnuts, almonds, peanuts, the pistachio, pine etc., which usually one enjoys dry, when fresh, full of juices from plant and complete with a little sugar, are a real treat! 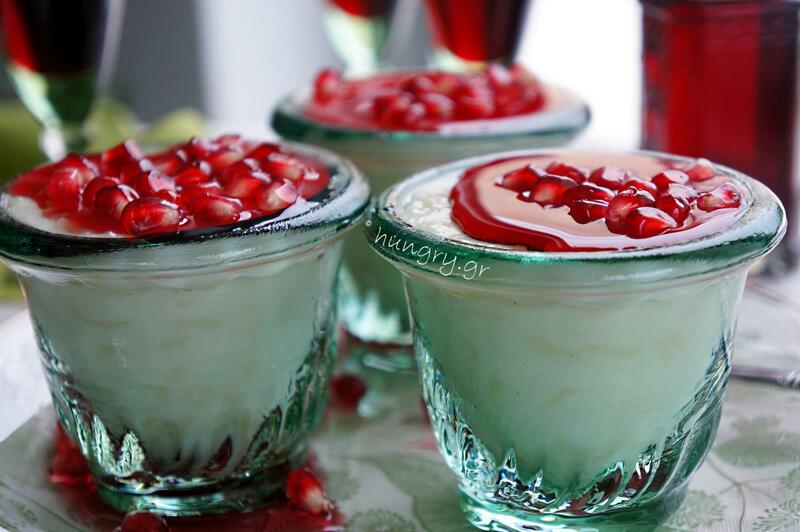 Here a small amount of crushed pistachios, not only adorns a simple rice pudding, but gives an extra intensity to the flavor.